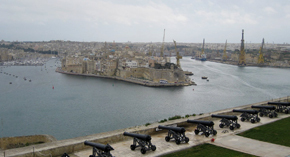 ..: LREC 2010 [Discover Malta!] 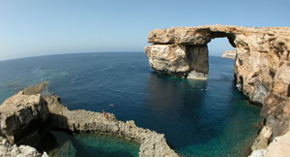 :..
» Venue » Discover Malta! Gollcher will have a desk at the MCC where you can book tours and excursions. G. Cali Street, Ta' Xbiex XBX 1421 MALTA. Travel by coach to the north-west side of Malta and take the short ferry ride to Malta’s sister island, Gozo, an oasis of peace and serenity. You will enjoy a full day of visits, starting at the Ggantija Megalithic Temples, perhaps the finest preserved temples of both islands. You will then continue to the island’s capital, Victoria (also called Rabat), with its cosy weave of streets and squares. Here you will visit the fortified Citadella, with its massive bastions rising above the town. The cathedral is situated within these fortifications and dates back to the end of the 17th century. Lunch during course of excursion included. In the afternoon there will be a short visit to Dwejra to see the stunning Azure Window and large Fungus Rock guarding the bay's entrance, before heading back to Malta. Today we will head to Mdina, a fortified enclave island and one of Europe’s finest examples of an ancient walled city, with its unusual mix of medieval and Baroque architecture. Mdina was the island’s capital until Valletta was built in 1571, and was named Mdina, meaning ‘capital’, by the Arabs, whilst the Knights named it ‘Città Vecchia’. A walk through its narrow shady streets with their cream-stoned churches and impressive palazzi will help you appreciate why it is known as the "Silent City". The tour will take you past the beautiful baroque Cathedral of St Paul, which was built on the site of an earlier Norman church. The façade is imposing and the cathedral is easily recognised by its magnificent dome. Before heading back to the hotel we will stop at Ta' Qali Crafts Village where free time will be given. Discover the bustling capital city, Valletta, starting with a visit to the terraced Upper Barrakka Gardens, which afford magnificent views of the Grand Harbour, and its spectacular fortifications. Besides learning the history of the city, you will visit the Palace of the Grand Masters, now the official office of the President of the Republic of Malta and also the seat of the House of Representatives. The Palace has 2 famous courtyards – Prince Alfred’s and Neptune’s Court, and the dividing corridors and halls are lined with portraits and armour. Your final visit of the morning will be a visit to a historic, patrician house, Casa Rocca Piccola, which is still the home of the De Piro family. The interior, spread over 50 stately rooms, provides a good insight into aristocratic life in Malta, and is home to fine collections of furniture, silverware and paintings. Today we shall visit the south of the island, starting with a visit to Tarxien Temples, which is made up of three temples each built in the shape of the "Fat Lady". We will follow with a visit to Ghar Dalam Cave, where traces of Stone Age humans and signs of prehistoric animal life have been found. Lastly visit the typical Maltese fishing village of Marsaxlokk - bobbing luzzus in the harbour, lace tablecloths fluttering in the breeze and the daily ritual of mending nets. This afternoon we will be visiting the Marsovin winery. 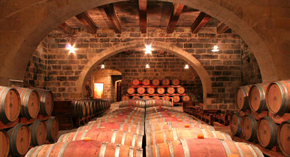 Marsovin has been the pioneer in Malta in wine production since 1919, founded by Chevalier Anthony Cassar. Four generations down the line, Family Cassar continues to expand its facilities, methods and levels of expertise. 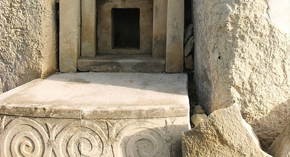 The tour includes a historical introduction amongst original artefacts, followed by an explanation about the whole process of how the grapes are pressed, fermented and eventually transformed into wine. The second phase is the visit to the ‘Aging Cellars’, where the red wines are laid to rest and mature for over 12 months in American and French oak Barriques. These 350-year-old Cellars are authentic and true to their heritage and also the ideal environment for storing such wine. The actual wine tasting then takes place in the wine bar where guests are invited to sample the different Marsovin wines with the variety of appetizing foods prepared for them. At the bar one has the opportunity to purchase local Marsovin wines, wine accessories and foreign wines. On today's half day tour we go to the Cottonera area, named after Grand Master Nicholas Cottoner, who set up fortifications around the three old cities of Vittoriosa, Senglea and Cospicua. 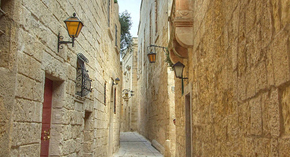 At Vittoriosa we discover the history of the 'Three Cities', while wandering round the streets. You will walk by Fort St. Angelo built during the Arab period of Maltese history, and subsequently fortified by the Knights, then walk on past the Church of St. Lawrence. End the morning with a harbour cruise, in traditional boats called 'Dghajsas'. 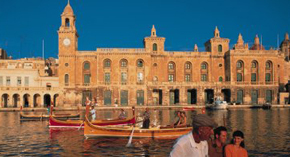 The tour includes: Transport to/from hotel in Malta, Ferry Fare, Services of a tour leader, Guided coach tour in Sicily.The price does not include the port tax (€16.30) that is to be paid in Malta. N.B. All above tours will be guided in English. 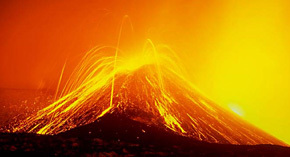 The tours need a minimum of 10 participants to operate (except the wine tour which needs a minimum of 15 participants). If any tours are cancelled due to lack of participation or for any other reason we will inform you by telephone and/or by email.